14 Sep Filed under Advocacy, Critical Speculation. Tagged 1948, architecture, design, exhibition, israel, maps, refugees, return, tel aviv, workshop, zochrot. Bookmark the permalink. Post a comment. Leave a Trackback (URL). This Thursday, 15th September, a remarkable exhibition will open in Tel-Aviv, seeking to engage head-on with the legacy of the Palestinian Nakba. Curated by Zochrot and entitled ‘Towards return of Palestinian refugees’, the exhibition brings together a collection of projects that engage in concrete and propositive ways with the challenges of realising a mass return of Palestinian refugees to their sites of dispossession in present day Israel. In this article, Eitan Bronstein (co-founder of Zochrot), discusses the possibilities of opening a discourse on Palestinian return in Israel. The article was originally published in Hebrew on Haaretz, and in English on the website of Zochrot. It is shared on arenaofspeculation.org with kind permission from the author, and is accompanied by images from a handful of the exhibited projects. 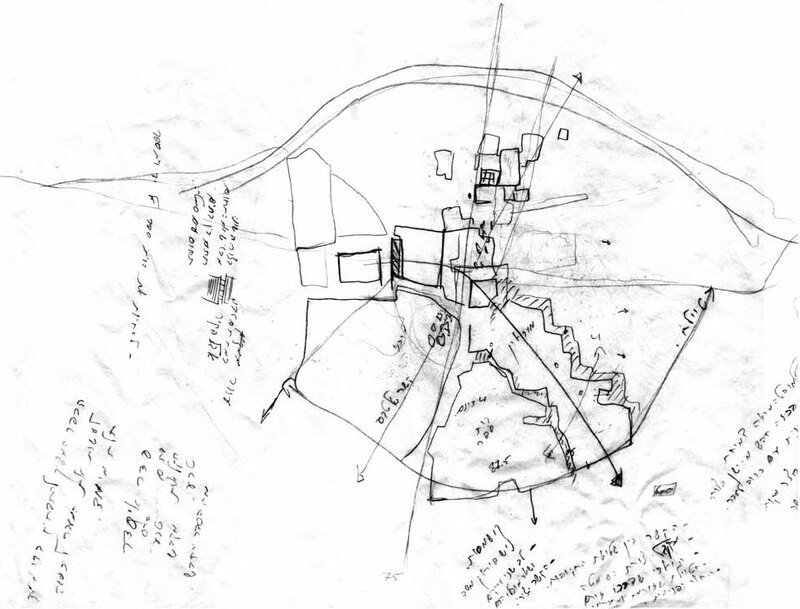 These projects are also featured in Zochrot’s periodical Sedek: A Journal on the Ongoing Nakba. No idea in the history of the Israeli-Palestinian conflict has had as much potential and been so neglected and rejected as that of return of the Palestinian refugees. Israel’s denial of the right of Palestinian refugees to return to their homes, beginning at the end of the 1948 war and continuing today, focused public discussion about the refugees’ return on an argument about that right and left no place for new visions and political practices to develop as part of public debate. The Palestinians declare their right of return, dream of it and recently have also been trying to implement it by returning to the places from which they were expelled, thereby challenging the borders of the Jewish state. Israelis, for their part, reject this fundamental right, viewing its implementation as a dreadful apocalyptic scenario, no less than a second holocaust. At the same time, a new possibility is developing: utopian thinking about the actual return of Palestinian refugees. This skips over the question of right, although it assumes its existence, in order to focus on practical issues raised by the refugees’ return. 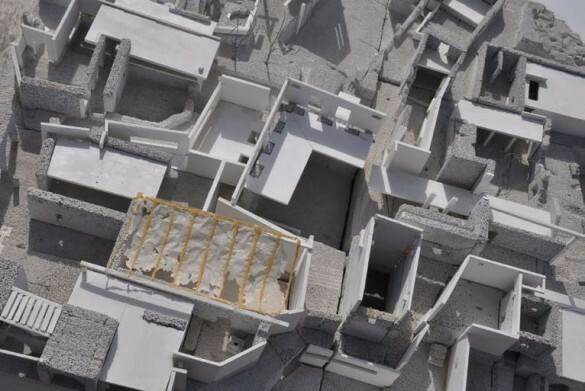 An exhibit opening September 15 in the gallery of Zochrot – an organization which focuses on the nakba and encourages Israelis to understand and accept its reality – will display various projects dealing with practical aspects of the return of Palestinian refugees. Israelis, Palestinians and others present their preliminary efforts to imagine refugees returning to their homeland, taking into account the great changes on the ground which have occurred since their uprooting. These efforts are based on two fundamental assumptions: no one will be displaced from the home they live in, and all the refugees and their descendants have the right to choose to actually return. A range of projects are displayed, differing in their conceptual approach to return as well as in the media in which they are presented, such as “man-in-the-street” video interviews with Israelis and Palestinian refugees and the results of the “counter-mapping” workshop in which Israelis and refugees from Miska village planned how it could be rebuilt in its original location between Ramat Hakovesh, Sde Warburg and Mishmeret. 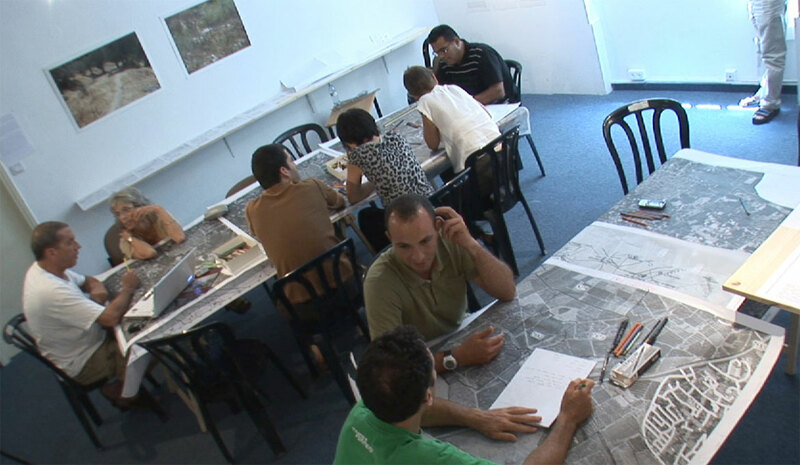 The exhibition provides a workshop in which visitors are able to propose their own ideas. It will be accompanied by a series of evening discussions open to the public in which these ideas and the overall vision will be critically examined. In addition to the importance of public involvement, the exhibition’s conception recognizes the preliminary nature of this endeavor, which is like the stammering of a child learning a new language. Zochrot doesn’t intend to present perfectly developed, final ideas about the return of Palestinian refugees, but instead to raise the questions about it. How many refugees will want to return and where will they live? How will they earn a living? What will happen to the historic village core? Will it be rebuilt or otherwise preserved? What about refugees who don’t choose to return? What will be the relations between the returnees and residents of nearby localities? What will be the nature of the state to which they return – a Jewish state, as it is today, solely for Jews? Will the returnees own their homes and be able to sell them in the free market? If so, is there a danger that the localities to which refugees return will become the focus of real estate speculation? What will happen to the fabric of existing communities in the refugee camps whose members come from various localities of origin? Will these communities be broken up even though most of their members never lived in the localities of origin and the only community in which they lived was that of the refugee camp? 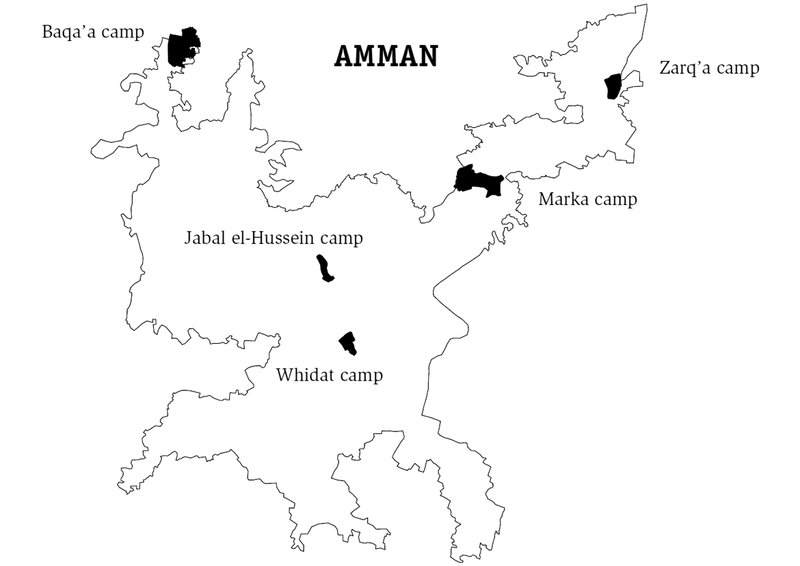 What effect will return have on the current “host” cities and societies (Damascus, Amman, etc.)? How will Jews and Arabs living in Israel today arrange to absorb the returning refugees? 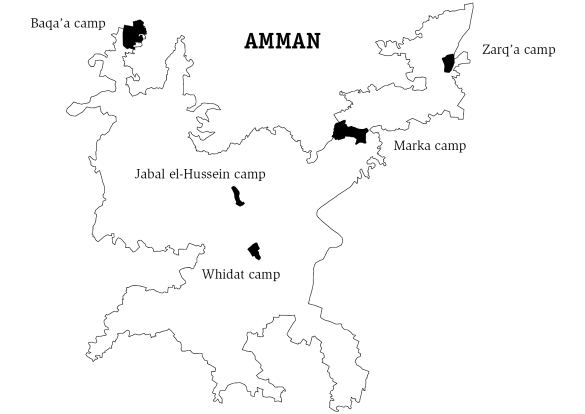 The mapping workshop developed the idea that the return of Palestinian refugees contains the hypothetical potential of opening up Israel’s Jews to the Arab world in whose midst they live. New relationships will thereby develop between Israel’s Jews and the geographical and human environment in which they live. The idea behind this exhibit may seem illusory and fantastic today. But if we dare imagine such a future, of Israelis and Palestinians living together, without fear, perhaps we’ll also see its life-giving potential rather than simply anticipating the next war. What an amazing project! Wishing you every success. Good luck to you all.